How to Explain SEO to Non-SEO People? Since the time, when the internet was introduced to the world, it has seen a dramatical increase in its users. And today, the internet has become a necessity of everybody. Be it a student of the school who wants to know something about his academics or a homemaker who wants to manage her home; everybody wants an easy access to the internet. Moreover, the daily advancements in mobile technology have now made internet access easier and faster. Now, anyone can economically access the internet from anywhere in the world. Isn’t a great invention by a human-kind to a human-kind??? Rather, the internet is more than a virtue than just being merely called as an invention. In every sense, it has made our lives simpler and better. From learning a rocket science in your bedroom to catching up with your friends in classrooms….now you can do anything and everything with the simple use of an internet. It would not be wrong to mention that more than half of the world is now considered as tech-savvy just because they know to work upon and use the internet. Be it on your mobile or over your laptop, with the advancements in technology; internet access is becoming easier and better day by day. However, people from around the world might know how to make use of an internet but not all know how it actually works. And it is not a surprise, as not everybody is a computer engineer who needs to know all the technical glitches related to computer and the internet. Like every other field, even the genre of the internet has its own world of science, engineering, and technology associated with it. And for all obvious reasons, every user of the internet is only interested in its functionality and not every user of the internet is keen to know how it works. But, just like few jargons which are associated with the particular industry, there are few technical words of the internet also which people should know about. For example, in the automobile industry, the term ‘mileage’ is that word which almost everybody knows in the world. In the same way, there are few jargons of the internet industry also which everybody should now. Some of these terms are Server, Router, SEO, search engine ranking and few protocols like HTTP and FTP. Knowing of these terms will neither make you a master of internet nor will you get any degree with it. But, definitely, it can increase your functionality and efficiency of working over the internet. Doesn’t it sound good??? It is not easy to make a non-technical person understand about technical things. But, if it has to be done then we have to start from somewhere or the other. And to start with, here we will first discuss the core concept of SEO i.e. Search Engine Optimization. The concept of SEO is being used widely around the world by the companies to enhance their online presence. In the world of internet, it is the most common term that is being worked upon and is being used. And it is for this reason that everybody should know about the concept of SEO. But, it is not easy to make non-SEO people understand the concept of SEO. Many times it becomes a task for people to make people understand the technical terminology of Internet. But, as the people become more detail oriented and tech savvy, they want to know more about “how things work?” In a way, it can be said that explaining SEO to a non-SEO person is a process in itself. 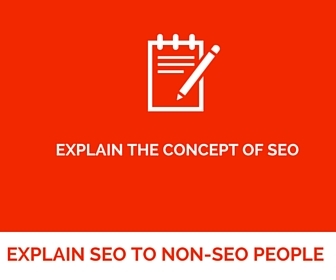 So, before we actually start with explaining SEO, we need to understand the process of explaining SEO. Explain the concept in a language that the Non-SEO person understands easily. 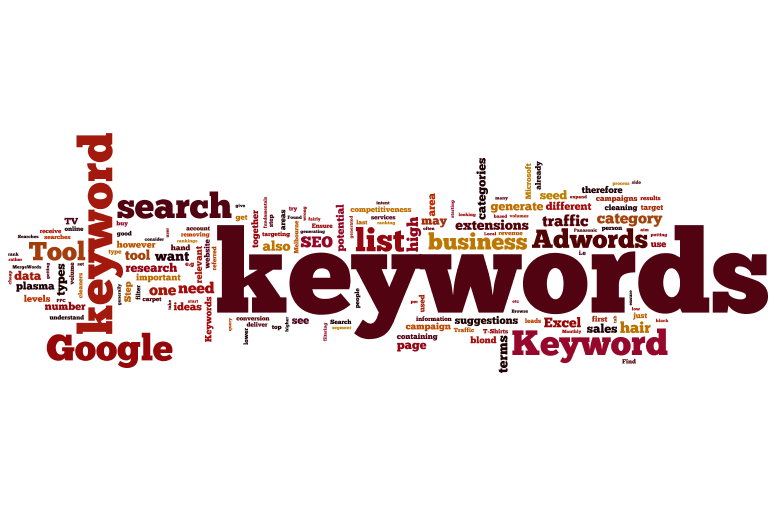 Detail the concept of SEO in simpler and easier way. Before you start with the introduction of the concept, get to know about the person in real life. Once you know about the person, you can frame the introduction according to his level and types of understanding. For example, if you get marketing personnel of an advertising agency whom you need to make an understanding of SEO. You can explain him in his way. 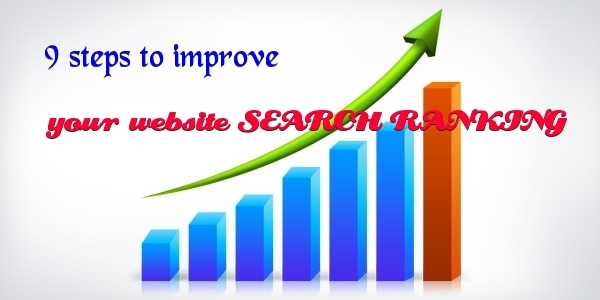 Relate the concepts of SEO to his concepts of marketing and things will be far better. To start with you can say that SEO is that strategy which is directly proportional to your sales. Just like more the sales, more the profit, in the same way, more the repetition of words will fetch better ranking on search results. Many times, people start raising their doubts before you actually wrap up with your theory. In this case, be calm and try to convince them by quoting the benefits, need, and functionality of SEO. And if they tell you about the poor performance of SEO by telling their failure stories, relax them by giving them valid reasons for their failures. Also, don’t forget to tell them the need of optimized content, images and videos and other necessities that are associated with the concept of SEO. In order to convince them the success of SEO, you can also quote some good examples where businesses are have started doing good after the proper use of SEO. Once you have introduced the concept of SEO to a non-SEO person, it then becomes easier to explain things further. After gaining the knowledge of what about of SEO, even a non-SEO person tries to show some interest in SEO. And to maintain his interest in your concept, you need to explain things to him in a simple way rather than taking a technical approach. For example, if you want a non-SEO person to understand about content auditing and optimizing, you can explain him by saying that it is kind of surveying sites so as to make it look attractive and better in visitors as well as search engines eye. Above are the 3 basic steps which you need to follow in order to explain SEO. The real aim of creating this article is to show how to explain SEO to non-SEO people effectively for your business.